I’m a huge fan of music and cannot go for a boating trip without a few tunes playing. I feel as though music helps spread good vibes and puts everyone in a good mood. When you want everyone to be excited and joyful, you can play some upbeat music. Whereas when it’s later in the evening and it’s time for everyone to turn down, you can play some slower music. It’s very important that you invest into a solid speaker for your boat. As you already know, not all speakers are equal. Though the higher price often indicates higher quality, it doesn’t always. Some speakers will outperform others despite being in the same price range. To guarantee that you get the most out of your money, it’s important that you do your research and compare different speakers. You shouldn’t cheap out or purchase whatever speaker catches your eye first. To make things easier for you, I’ve already done all the hard work and research for you. I’ve searched far and wide, investigated many different products, compared them side-by-side, analysed reviews and even tried some of the products myself. In this guide, I’ll be recommending a few of the best boat speakers that you can purchase right now. There are a wide range of different boat speakers, and they come in various sizes, designs and capacities. This makes some better suited for different occasions than others. For example, some people will prefer more bass whereas others aren’t keen on bass. This will the decision somewhat subjective so it’s important that you also do your own research on the side. In this guide we’ll be look at Marine Speakers. This means that the speakers are specifically manufactured for use in the water, making them the go-to speaker for boats. Marine speakers should be able to withstand the harsh weathers and conditions which you’ll be subject to at sea. I’ve searched far and wide and reviewed loads of different boat speakers. Out of all these speakers I’ve identified 10 of the best. All these speakers which I’m going to review provide outstanding value for money. I’ve compared them between each other so that you can identify which one will be best for you, however you can’t go wrong with any of these. Jam out to music, like a BOSS! This speaker by Boss will simply take you away, it’s an outstanding product and must be number one on this list. You won’t find a better speaker in this price range. This package includes a 500 watt 4-channel Bluetooth amplifier and two pairs of 180 W marine speakers set (4 Speakers). Fully marinized. High-tech, state-of-the-art waterproofing materials have been integrated into this speaker. In addition to this, plastic surfaces feature a special UV coating. 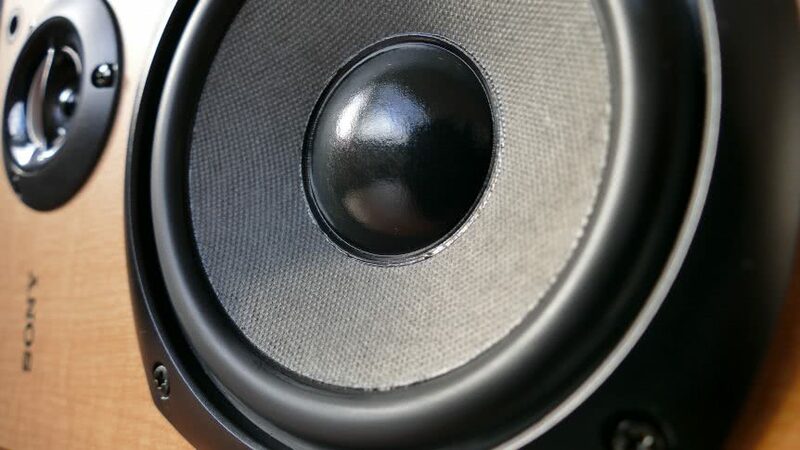 Connections and circuit boards are also coated to ensure that the entire speaker is protected against corrosion and the harsh outdoor conditions. Audio streaming is a form of Bluetooth technology which will allow you to stream music wirelessly from a compatible device. This should work with your smartphone’s Bluetooth. Wireless audio streaming is the most modern way of playing your music. No need for an aux cord or wires, simply connect your phone and play your music straight from your phone. The speaker has an Aux input, which will allow you to connect your external devices such as smartphone or MP3 player. This is an essential for any speaker. It’s nice as it allows for any passenger to connect their phone and play their own music. USB allows for an up to 32 GB flash drive. This is for those who want to play music from a flash drive rather than an MP3 or smartphone. It also has built-in 1A charging which means you can charge your devices by connecting them via USB. Great for times when you’re running low on phone battery and need to keep it alive. An in-line remote control can be installed in a safe and convenient place, allowing you full control over your songs, volume and your systems other functions whilst riding. This is an amazing feature, almost an essential in my eyes. This is an outstanding marine speaker by Fusion Electronics. This speaker doesn’t deserve anything less than the number two spot on this list. There are plenty of reasons why this is one of the best boat speakers on the market. This speaker delivers exceptionally high-end performance, as well as high-end power handling. It’s also extremely durable, and capable of surviving the harshest of weather, truly an impressive marine speaker. This is a speaker to consider for your boat. The audio quality of this speaker is impeccable! This speaker excels in high frequencies, this is something which a lot of other speakers struggle to do. Most speakers tend to do best at lower frequencies compared to higher ones. Though this speaker does the opposite. I wouldn’t say it’s not good at low-end sound, but it does better at high frequencies. Fusion are known for their products outstanding durability and the FR6022 is no exception. Built to withstand against the harshest of conditions. The speakers exceed the ASTM standards for Fog and salt resistance and UV protection. Not to mention it’s fully sealed cross-over, as well as magnet and tweeter housing complete with waterproof surrounds. This is a beast of a speaker which shouldn’t fail on you any time soon. There are three different available grill options for you to choose from, allowing you to customize your speakers somewhat and match them to the design of your boat. Overall this is an amazing marine speaker which will provide you with high quality performance and last you for many years if used appropriately. The durability of the speaker is simply unmatched. This is a go-to speaker for any boat. This is another top-class marine speaker, so good that it’s made the top three on this list. This is an outstanding 6.5-inch speaker which comes at a great competitive price. Included in this package is a Kenwood KMRD372BT Stereo, an Enrock Antenna and 2 pairs of Kenwood Speakers. The Enrock Antenna is a hideaway flexible marine grade antenna. This unit is designed to withstand the harshest of conditions. The speakers feature waterproof injection-molded polypropylene cone woofers. It has a conformal-coated circuit board which will prevent moisture from destroying the unit. This set-up won’t fail on you anytime soon, these speakers are built to last. It has a very convenient front panel USB input which will allow you to connect your smartphone or MP3 player straight into the system. As well as this, it also has a CD loading feature and aux input. You’re provided with endless options to connect your external device to the stereo. Take your pick. Don’t fancy having any wires or cords being strung across your boat? Good thing for you is that this stereo features Bluetooth. This allows for wireless music streaming. There is also an AM/FM radio with station pre-sets. The stereo has a cool LCD display, this will display the time with a digital clock and display the songs which are playing. Overall this a great unit, it provides you with many ways to connect your device, it provides outstandingly high-quality performance and power handling. It’s also extremely durable, it can last you a long time if not misused. There are a bag-full of extra features which will make your boating trip more enjoyable. I’d highly recommend this sound unit. The fourth speaker on this list is the Infinity Reference 612M. This is an awesome speaker which provides amazing value for money. This is a bargain of a music unit and perfect for boats. I absolutely adore this speaker, not only is it very practical but it also looks great. I love the design and the way it looks. The Infinity Reference 612M has 255 watts power handling ability. This goes above and beyond most speakers on the market. This is just one of the many reasons why it made it onto this list. Is features polypropylene woofer cones which are lightweight and stiff. They’re sealed for marine application so won’t let any water get inside. The woofer features UV-resistant rubber surrounds. The material has optimum cone-edge suspension which will absorb distortions which travel up the code edge. This provides a stronger low-end sound. The speaker’s spider and tinsel leads are treated to protect them against moisture contamination. The magnet structure and sealed cone provide protection against moisture. The grill is also treated to maintain its finish. The cast polymer basket is corrosion proof and will hold up against salt water and UV rays. Overall this is a very durable speaker which should be able to withstand some very harsh conditions. This is exactly what you need in a speaker for your boat. Coming in at number five on the list is the CMQ1622RL by Clarion Corporation of America. This is a stunning speaker. It has built-in blue LED lighting which looks amazing. So, not only is it a high-quality speaker but it has an appealing design. The LED’s really do give the speakers a premium look. An optional built-in multicolored LED system is also available from Clarion though not included in the linked product. The Clarion brand is known for their high-end speakers. They also sell car and home speakers. CM is their Clarion Marine series in which they sell a wide variety of different speakers for marine use. The CMQ1622RL is my favourite boat speaker which they have to offer. I’ll be honest, this speaker doesn’t have the best power handling which is why it isn’t higher on this list. However, the sound quality makes up for this. This speaker has amazing audio quality, it doesn’t get much better than this. I’ll note that though the speaker performs well in high-end frequencies, it excels in the low-end and midrange frequencies. The speaker is also ridiculously loud so don’t be afraid to push it. This is certainly a good pick for those who love to blast their music, whether it be for parties, get-togethers or just personal preference. I don’t personally need to have a loud speaker, however it’s always nice to have the ability. Now let’s touch on the durability of the speaker. The CMQ1622RL’s frame is made from die-cast aluminium. This is unique from other marine speakers. Many marine speakers have a frame made from polymer plastic. To be honest, personally I feel as though the aluminium feels stronger. Whether the aluminium is any stronger, I’m not sure. The speaker is meets ASTM standards for UV, fog and salt resistance. This is great news when it comes to durability. Many brands will claim their marine speakers are resistant to the elements, though they lack proof to backup their statement. This speaker holds an ASTM certification. Overall this is a great speaker which won’t set you back much. This is an extremely inexpensive marine speaker, one of the cheapest on this list. I’d highly recommend this for anyone who doesn’t want to spend a fortune on their boats sound system yet wants a powerful, sturdy speaker. Polk Audio has a variety of great marine speakers. The DB651 is particularly one of my favourite speakers that they have to offer. These work perfectly for boats and will truly enhance your boating experience. If you’re interested in making your boating trips more enjoyable than consider purchasing these speakers. They’re very inexpensive so I’m sure they won’t break the bank. Not everyone wants to invest hundreds into a sound system. Despite the price, these speakers really do pack a punch and out-perform more expensive alternatives. Polk engineers utilized laser imaging to identify the optimal combination of design and speaker material to prevent any distortion. This results in the speakers producing amazingly smooth sound with sharp and detail. The speakers are capable of extremely high volumes without any strain. The speakers feature 6-1/2” woofers which are made from polymer/mica composite, as well as rubber sounds that are very durable. The woofers are capable of withstanding extreme stress, as well has heat and moisture. The silk/polymer dome tweeters are liquid-cooled and use very powerful neodymium magnets to provide crisp high frequency reproduction. Overall the speakers are extremely sturdy and won’t fail on you any time soon. Pioneer is a reputable brand known for their media products. All their speakers are great however I particularly like the TS-MR1640. This is a 6.5 Inch 2-way marine speaker, one of the best on the market. This is one of the cheaper speakers on this list. Though cheap in price, It’s not cheap in quality. It provides amazing bang for your buck, a real bargain. There are several reasons why this speaker earned a spot on this list. The grille design makes the speakers look like a fan, but you don’t want to put your head next to it when music is playing. The build quality of these speakers is top-class. They feature gold plated terminals and gold tinsel wiring. Pioneer have done everything ensure its circuitry is moisture, heat and corrosion resistant. The grills are designed to hold their color and not loose their color over time. Now let’s talk about the speaker’s audio, arguably the most important aspect of any speaker. One thing that stands out about the TS-MR1640’s audio is it’s bass performance. The bass quality of the speaker is outstanding! Among the other speakers of this price range, the TS-MR1640 asserts its bass dominance. Now, coming in at the 8th place is the Kicker 11 KB6000W. Yet another great speaker perfect for your boat. This won’t poke a hole in your pocket but will still provide you with A-class performance and crisp, smooth sound. These are 2-way speakers. This is the most unique looking speaker on this list. Instead of the typical recessed or circular speakers, these are rectangular towers. So, if you’re not a fan of the circular ones, perhaps these will tickle your fancy. The Kicker 11 KB6000W is built from very sturdy and durable materials. You’ll find that this is a luxury with normal speakers, though this is an essential with marine speakers. They must be durable and resistant to survive for a long time due to the harsh conditions at sea. The speaker features polypropylene cones and are water, salt and humidity resistant. The sound quality of these speakers is fantastic, though not as great as those speakers higher on the list, these speakers by Kicker perform great. They sound very natural with minimal distortion. Volume is not a problem with a peak of 72W RMS and 150W of power. This is another speaker by BOSS! As you can probably tell, they make outstandingly amazing speakers. I’m a huge fan of their marine speakers. BOSS Audio Systems never fail to impress, their produce nothing but quality. This is another 2-way tower speaker. It looks stunning, I love its shiny premium design. It’s also available in multiple different sizes so you’ll find something appropriate for your boat. The MRWT40 is fully marinized. Their outside shell features an ultra-violet coating which protects it from the harsh rays of the sun. All major components are sealed and coated to protect them from damage caused by salt and humidity. This speaker cone is made from a flexible, durable and resilient materials known as polyurethane. It shares a lot of great properties of other materials. Tough like fiberglass, bouncy like rubber, protective like varnish as well as squishy like foam. The surround is made from Butlyn Rubber which is a synthetic rubber. This material is very tough, capable of withstanding many types of weather conditions. It is used in multiple applications, from sports equipment to automotive parts – a high-quality material for sure. Overall this is a solid speaker with an attractive design, which produces amazing audio. You cannot go wrong with these. Last but least is the MCM Custom Audio 60-10021. This is a wake-board, two-way pair of speakers. This means instead of being integrated into the boat, they’re hung from the wake-board of your boat. Though, they can also be hung on a suitable rail or tube. I’ve included them into the list, not only because they’re great speakers but because they’re one of the best speakers of this style. Though not the cheapest on the list, they’re affordable. They provide outstanding value for money, you’re getting every dollars’ worth with this purchase. On the top of the speaker are plastic mounting clamps which latch onto your boats wake board. The speaker has a maximum power handling capacity of 200W and a frequency response of 40Hz-20KHz. It also has a sensitivity of 90dB. When it comes to the audio of the MCM Custom Audio 60-10021, you get what you pay for. The speakers aren’t cheap so don’t expect cheap sound quality, though they’re not expensive either so don’t expect state of the art sound quality. This speaker falls into that nice mid-range price tag and audio quality. The audio is great until you get over 90% of the speakers’ top volume, at which point music begins to distort slightly. However, it’s not very noticeable and requires you to be at extreme volumes, so this isn’t too much of a problem. Overall this is an awesome speaker for its price and one that will deliver more than satisfactory performance. I wouldn’t say it’s my favorite speaker on the list, however it’s still one of the best on the market – especially when it comes to wake-board speakers. There we have it, 10 of my favorite boat speakers currently on the market. Though I prefer some speakers over others on the list, they’re all great speakers. You simply cannot go wrong with any of the speakers I’ve recommended, regardless of your pick, you’re getting an awesome speaker which will serve as outstanding value for money. If you feel as though I’ve left out a speaker that deserves a spot on this list, let me know in a comment below. I will try my best to look into the speakers you recommend so that I can decide to add it to this list or not.